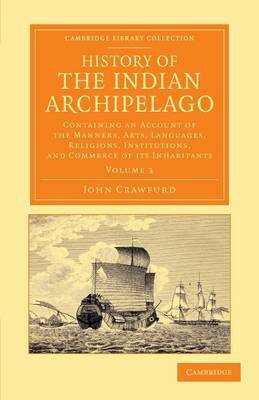 Trained as a doctor, John Crawfurd (1783-1868) went on to have a distinguished career in colonial administration with the East India Company. He held senior posts in Java from 1811 to 1816, including that of resident at the court of Yogyakarta. A talented linguist and ethnologist, Crawfurd acquired a sound knowledge of ancient Kawi and contemporary Javanese. Upon his return to Britain in 1817, he became a fellow of the Royal Society and published this three-volume work on the Indonesian islands, principally Java, to great acclaim. Following further service abroad, he published accounts of his various missions in south-east Asia and an encyclopaedic sequel to the present work (all of which are reissued in the Cambridge Library Collection). Volume 3 examines political institutions and commerce, covering major exports and imports along with demographics, public revenue and laws.